A few points to ponder from Pope Francis, EVANGELII GAUDIUM. When we think of New Evangelization, we must take Mama Mary’s way to bring comfort and strength to all souls not only in need of hearing the gospel’s, but in every aspect of our lives. We are called to LIVE the gospel’s. Not just hear them, clap and say, wow that sounds nice and go back to what we were previously doing. I see this a lot with so many every time Pope Francis speaks to the “masses”. 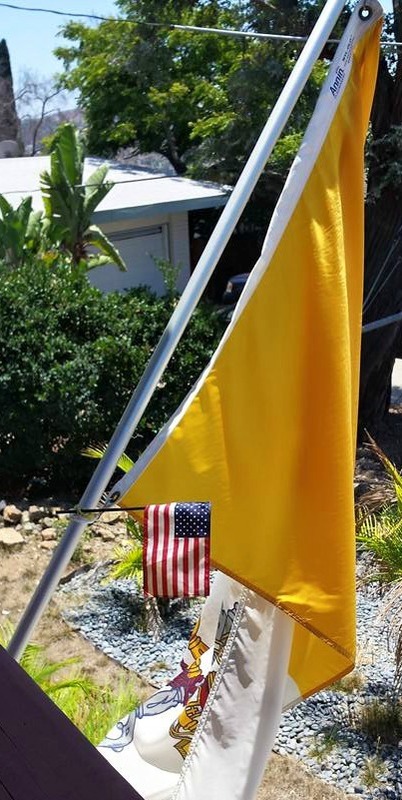 The flags wave, the cheering from the crowds and the screams of “I love you Papa”. But are we truly listening and following what is being said? Imagine the Apostles listening to our Lord and never grasping what He was teaching them, but rather just allowing Him to continue because they liked the “atmosphere”. Judas comes to mind. He never got over being a “fan” of our Lord rather than becoming a “follower” like the rest. When we become “fans” rather than “Followers”, the second something that is said or done that we don’t like, we find someone else to become a “fan” of. 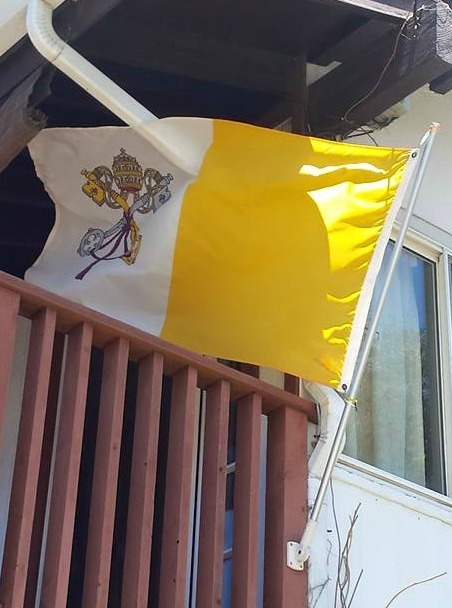 Don’t get me wrong, I love Pope Francis as I love everyone, and this is not about trashing him, or what he is doing or not and who likes him or not. He is the “Vicar of Christ”. Its about not applying his messages, daily, in all of our lives. Not applying the same message as it has always been through 2000 years, from our Lord in our daily lives. The “Church” is, but we are called to be a part of that “Church”, not “apart from”. 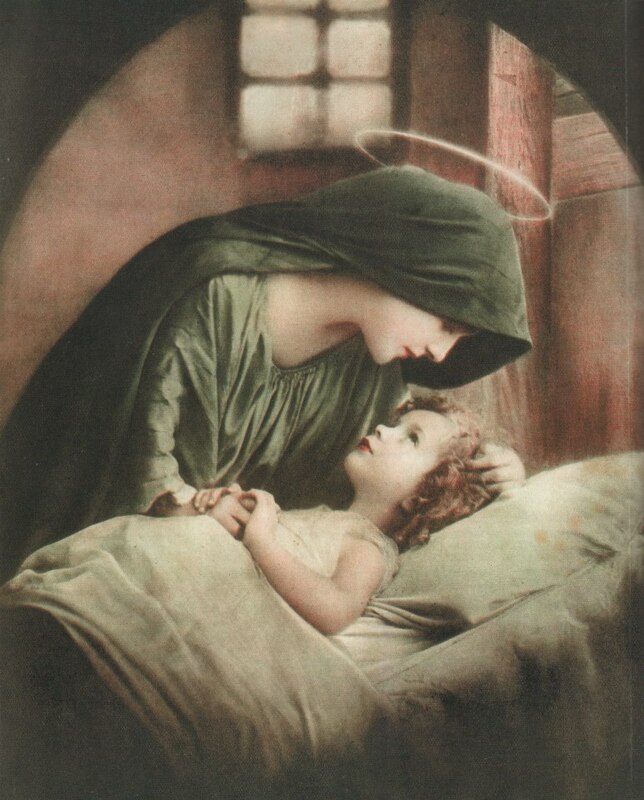 Mama Mary from the beginning, was neither a “fan” of her Son, nor a “follower”. She is His Mother. Thus the Catholic Church is OUR Mother. We are called to “Listen” to her, as she is telling us what WE need to do. What happens when we don’t listen to “Mom”? 10 I urge you, brothers, in the name of our Lord Jesus Christ, that all of you agree in what you say, and that there be no divisions among you, but that you be united in the same mind and in the same purpose. 11 For it has been reported to me about you, my brothers, by Chloe’s people, that there are rivalries among you. 12 I mean that each of you is saying, “I belong to* Paul,” or “I belong to Apollos,” or “I belong to Cephas,” or “I belong to Christ.” 13 Is Christ divided? Was Paul crucified for you? Or were you baptized in the name of Paul? 14 I give thanks [to God] that I baptized none of you except Crispus and Gaius, 15 so that no one can say you were baptized in my name. 16 (I baptized the household of Stephanas also; beyond that I do not know whether I baptized anyone else.) 17 For Christ did not send me to baptize but to preach the gospel, and not with the wisdom of human eloquence, so that the cross of Christ might not be emptied of its meaning. That “the cross of Christ might not be emptied of its meaning”. Once we place our love of one over another, the entire meaning becomes lost. 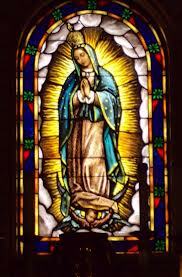 Mama Mary, did not love one over the other. Because of her great “Humility”, She loves all. 285. On the cross, when Jesus endured in his own flesh the dramatic encounter of the sin of the world and God’s mercy, he could feel at his feet the consoling presence of his mother and his friend. 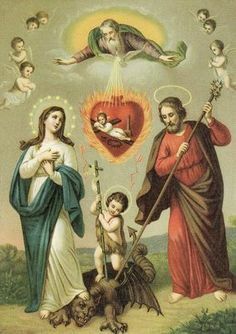 At that crucial moment, before fully accomplishing the work which his Father had entrusted to him, Jesus said to Mary: “Woman, here is your son”. 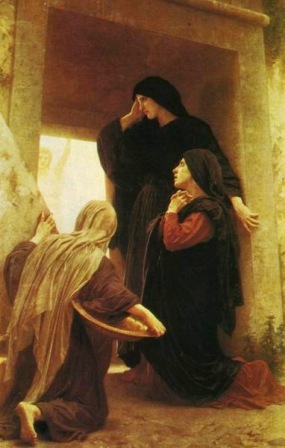 Then he said to his beloved friend: “Here is your mother” (Jn 19:26-27). These words of the dying Jesus are not chiefly the expression of his devotion and concern for his mother; rather, they are a revelatory formula which manifests the mystery of a special saving mission. Jesus left us his mother to be our mother. Only after doing so did Jesus know that “all was now finished” (Jn 19:28). At the foot of the cross, at the supreme hour of the new creation, Christ led us to Mary. He brought us to her because he did not want us to journey without a mother, and our people read in this maternal image all the mysteries of the Gospel. 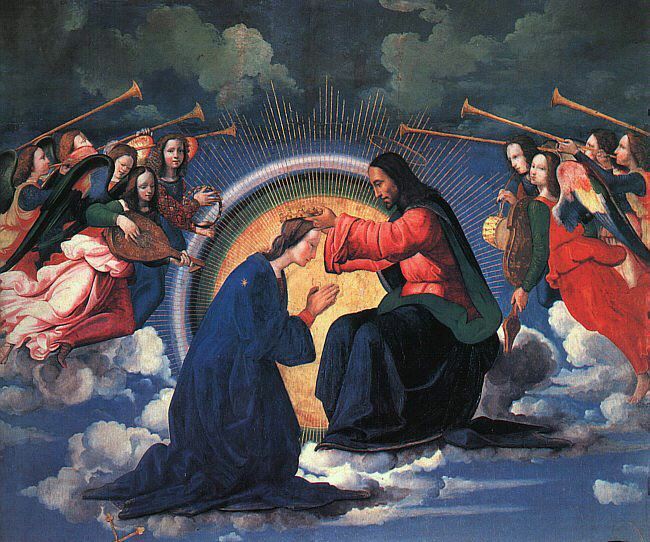 The Lord did not want to leave the Church without this icon of womanhood. 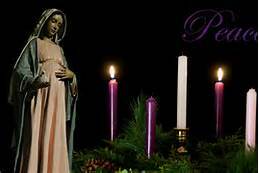 Mary, who brought him into the world with great faith, also accompanies “the rest of her offspring, those who keep the commandments of God and bear testimony to Jesus” (Rev 12:17). The close connection between Mary, the Church and each member of the faithful, based on the fact that each in his or her own way brings forth Christ, has been beautifully expressed by Blessed Isaac of Stella: “In the inspired Scriptures, what is said in a universal sense of the virgin mother, the Church, is understood in an individual sense of the Virgin Mary… In a way, every Christian is also believed to be a bride of God’s word, a mother of Christ, his daughter and sister, at once virginal and fruitful… Christ dwelt for nine months in the tabernacle of Mary’s womb. He dwells until the end of the ages in the tabernacle of the Church’s faith. He will dwell forever in the knowledge and love of each faithful soul”. Hail, you Star of Ocean! I awoke this morning, pondering the Wedding at Cana. Just pondering…. We are baptized with water. Just as our Lord commanded that the empty jars be filled with water. The empty jar is our body. The water and wine, our souls. Over the course of our life, we become like wine. If we lead a life of bitterness and sin, it affects the taste of the wine that is produced. If we lead a life in Christ, we continue on His path, we become sweeter with His word. “Joy”. When we adhere to the faith, we receive the sacraments and truly live a holy life, we feed on the Word of God, we consume Him and become obedient to Him, our lives become sweeter and the bitterness of the world simply dissolves. Remember the old saying, you can catch more bees with honey than vinegar? 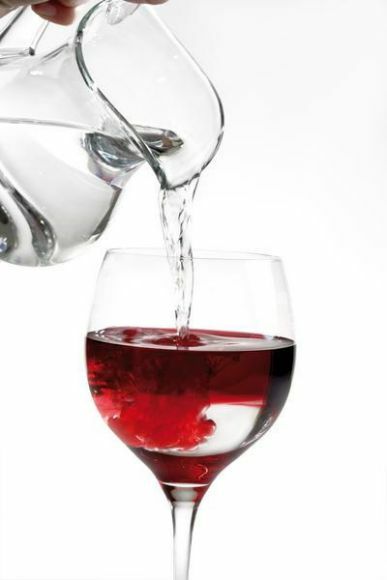 When wine turns to vinegar it becomes tart, sour, acidic, harsh.